The beloved superstar had a humble beginning as a bus conductor in Karnataka. He stepped into the world of cinema in 1975 with K Balachander's 'Apoorva Ragangal'. If there's one name to describe style in Indian cinema, then it has to be Superstar Rajinikanth. From Kollywood to Bollywood to even Hollywood, the man has done it all. The beloved superstar had a humble beginning as a bus conductor in Karnataka. He stepped into the world of cinema in 1975 with K Balachander's Apoorva Ragangal. Initially, he mainly portrayed antagonistic characters. Till 1990, he had starred in multiple roles for Tamil, Kannada and Hindi cinema. The year 1978 saw him take on the title of 'Superstar'. From then, to date, he has ruled the Southern film industry. The idea of a massive fan following is quite common to Indian cinema but when it comes to Rajini, there's only one word to describe how fans treat him - God. From setting up 'larger than life' banners, with fans pouring milk over his posters, Rajini's mojo is unbeatable. In 2016, Air Asia re-branded their flight and came up with the 'Thalaivar aircraft', featuring the superstar in all his might and glory. 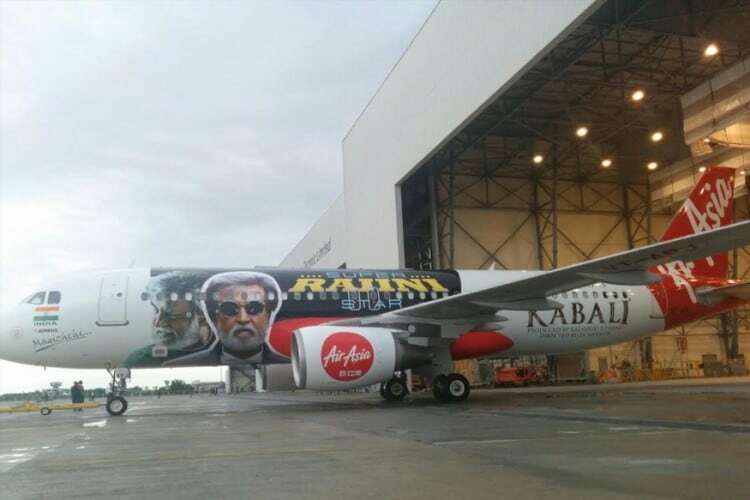 Bearing an image from his film Kabali, the airline dedicated this move to the star and his fans. It didn't just end there. 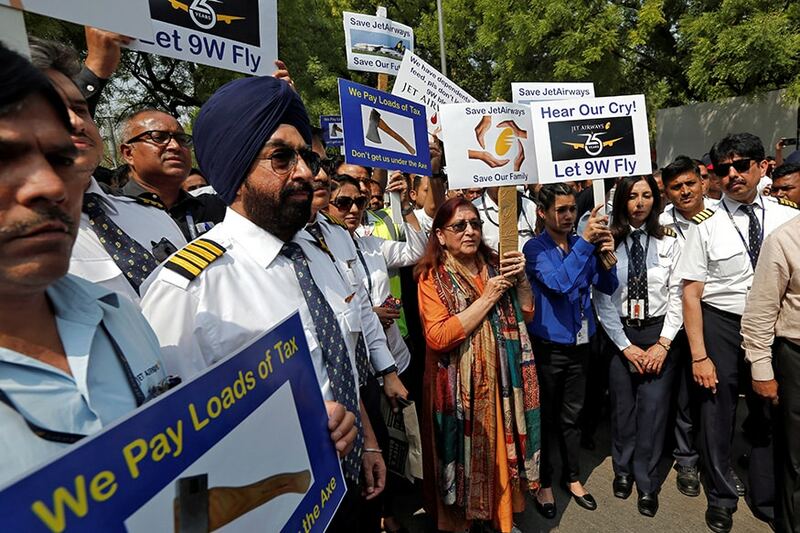 The airline announced their 'Fly Like a Superstar' promotion and dished out the 'Kabali Biryanis' to its passengers. They also flew passengers from Bengaluru to Chennai for a special premiere. 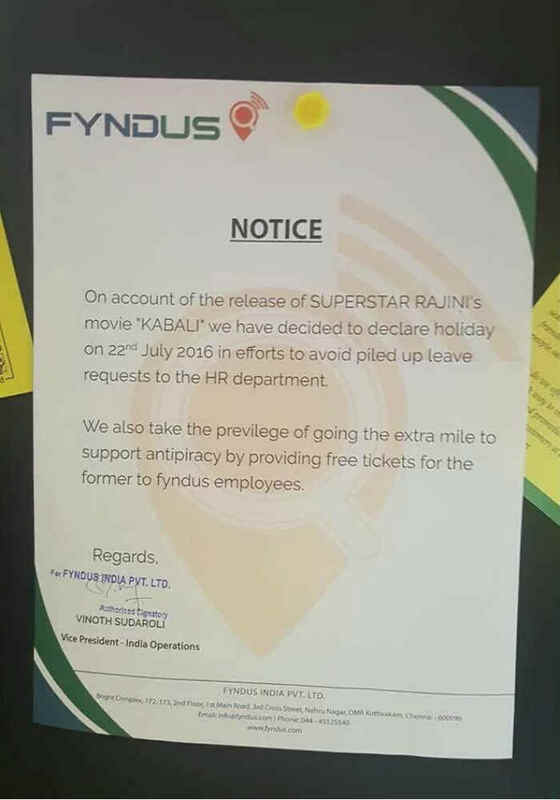 A company named Fyndus even declared a holiday on July 22 for fans to enjoy their star on-screen. 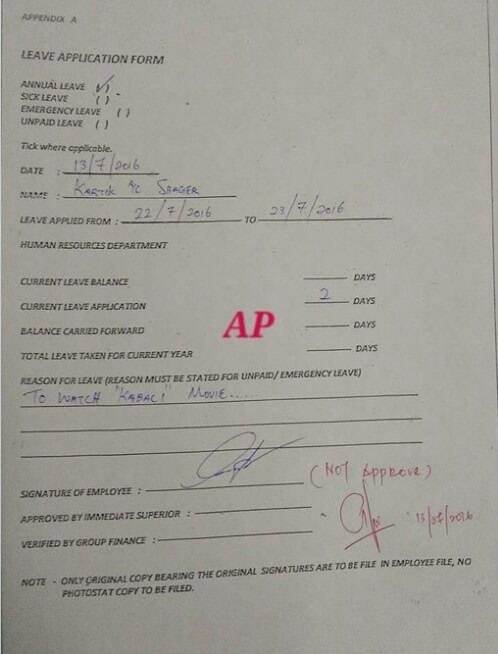 They also provided free movie tickets to its employees. Lamborghinis are a rarity on any roads. 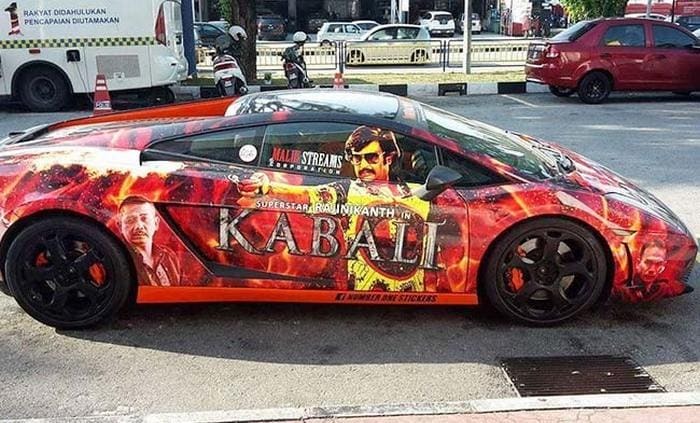 Even rarer, is one with Thalaivar decals. 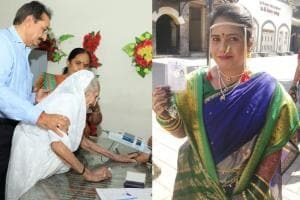 'Rajini' Devaraj is a hairdresser in Coimbatore who has embarked on a mission to tend to clients who can't afford a haircut. Vagabonds, beggars, slum dwellers, and all others who are ignored by the society, form his major clientele. 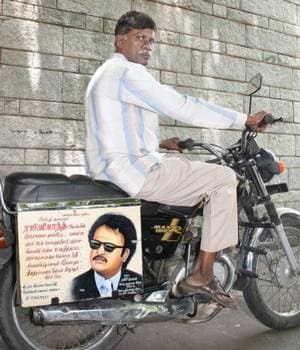 What's special about him is his mobile salon – A bike that bears the image of his inspiration, Rajini. He's not just a fan of the actor but has decided to turn it into a part of his life with every haircut. 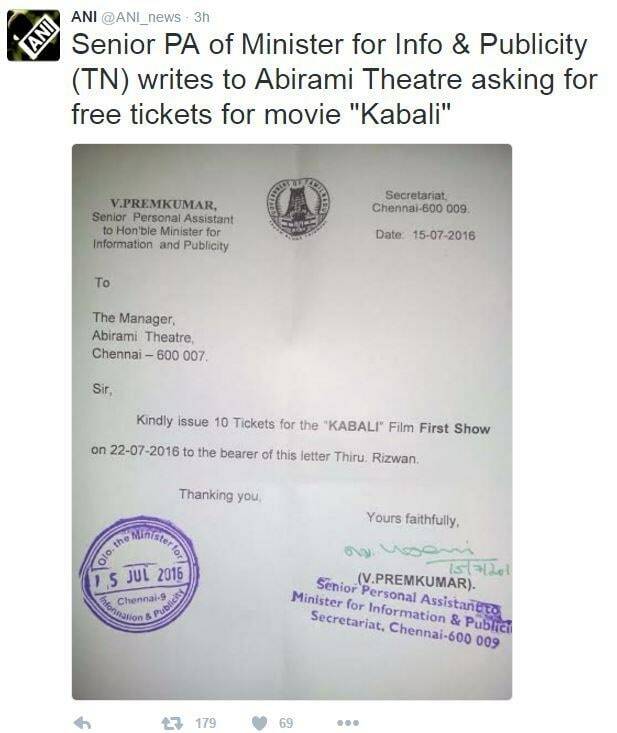 V Prem Kumar, PA of Minister for Information and Publicity, even sent a notice to Abirami theatre in Chennai requesting 10 tickets for Kabali. Rajinikanth's journey in cinema has been inspirational. He has earned every bit of success he has. Come April 2018, things are going to get crazy again. 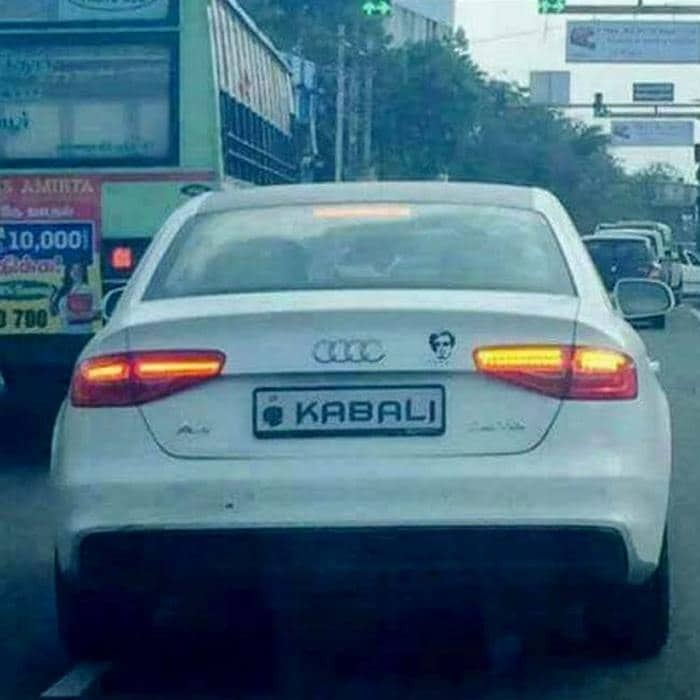 Rajnikanth's massive sequel 2.0 is going to hit the screens and it is already sending fans into a frenzy.